Yep, still talking about this. I finished Committed last night just before bed. I let it settle in my mind. I avoided circular obsessive thoughts about it – circular, obsessive thoughts are usually how I handle most things from something someone said that day to mortgage payments to the last few sentences of whatever book I have just read (thank you, Codependent No More). That being said, I don’t have any stunning perspective or revelation now that I have finished the book. I merely have some quotes that struck me as notable. So notable that I didn’t just underline them in the book like a maniac, I actually copied them down into my journal. Me of excessive and obsessive thought who feels passionately one way or another on almost EVERY topic found this relieving. Lately, I have felt passionately about opposing thoughts – as in I feel BOTH sides passionately and have felt that this means there is something wrong with me. Apparently what I have seen as the ultimate sin – a conflict of beliefs and ideas and feelings – are just the growing pains of adulthood. Yes! This enrages me! And that is ridiculous. Gilbert may profess to never endure it gracefully, but that is definitely an aspect of my character I want to learn to change. It was roughly around this point of my reading that Annie Lennox started singing “Fool on the Hill” with Paul McCartney in the front row of the audience on TV and I decided that there will be sins I can’t kick, feelings I can’t change, that I will take to my grave. But enduring other people being themselves, even if it is not how I view them, gracefully is something I would like to be able to do sometime. The thoughts and the song and Annie Lennox may be unrelated, but forever in my mind they will be synonymously seared into my brain… don’t be a fool, summon your grace. I read that and immediately thought of heroine and addiction. No, I’m not a heroine addict. But I’ve seen them in action. And if I’m to be honest I have a tendency to feel like one in regards to the people I care about the most – all of whom I can count on fewer fingers than I have on one hand. Gilbert’s book is lovely. I’m sorry I sharked her memoir and made it all about me. I hope if she ever stumbles across this blog, she will take it with a grain of salt and not see me as a pirate of some kind. I recommend reading this book, regardless of what you thought about the more famous Eat, Pray, Love. I really needed to get this message. … But will take longer to undo. 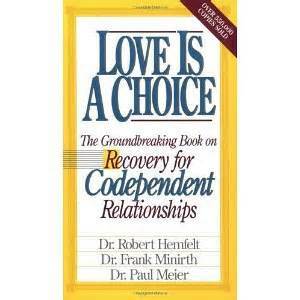 This is a Part Two post to my review of Committed as well as a response to Codependent No More. Saying “I am not in control of that” is not the same as being helpless. Trying harder sometimes doesn’t offer results, but rather drives you a little nuts. I am allowed to have contradicting feelings as long as I am honest about both and do not bury the less favorable/ moral one. A feeling is not a decision. But bottling feelings and under-reacting to things that hurt your feelings can turn into a very foolish and very public behavioral issue similar to a train wreck or a volcano that kills an entire village. “What am I to conclude when my grandmother says that the happiest decision of her life was giving up everything for her husband and children but then says – in the very next breath – that she doesn’t want me making the same choice? I’m not really sure how to reconcile this, except to believe that somehow both these statements are true and authentic, even as they seem to utterly contradict on another. I believe that a woman who has lived as long as my grandmother should be allowed some contradictions and mysteries. Like most of us, this woman contains multitudes. 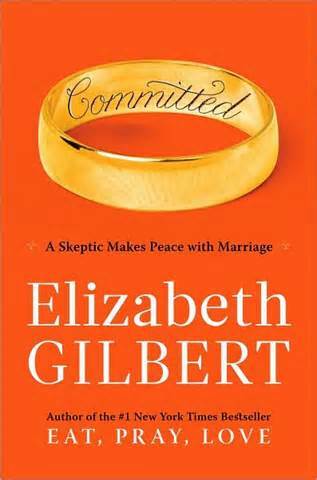 Besides, when it comes to the subject of women and marriage, easy conclusions are difficult to come by, and enigmas litter the road in every direction.” – from Elizabeth Gilbert’s Committed. I can’t control other peoples’ thoughts and feelings. Nor, if I’m to be honest do I want to. What I decide for them takes away from me making healthy decisions for myself. Other people making a decision I do not like is not a slight on me as a human. I am still in tact. I can say my piece in peace without expecting them to bend to my will. In fact, I want to enjoy the freedom of talking out my feelings knowing that it does not change the outcome of life. My words won’t make or break the world and the people in it. I am not that powerful. I don’t want to be that powerful. I want other people to feel comfortable making their decisions based on what they need. Would I like for them to consider my feelings when they choose to follow that decision? Yes. Do I want my feelings to be the basis of their decision? No. God, no. These are things I used to know, and for various reasons, I have lost sight of. 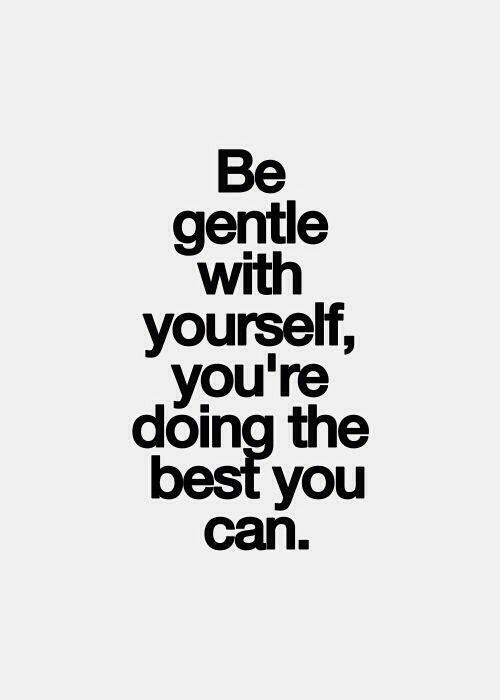 These are things that I need to remind myself daily, if not hourly. So my newest truth above all – there is no shame in reading self-help books and memoirs by people who have a very different world view from yourself. There is no shame in believing that, “this woman should not be condemned or judged for wanting what she wants.” In fact that’s a very beautiful belief. Finding balance is the hard part. When does what you want step on what someone else wants and needs? When does what you want need to be suppressed and when does it warrant being spoken? My understanding of this balance is erratic at best. Making a very open attempt to find this balance has been interesting too (I say this as though I’m well seasoned at the effort that I’ve been making for a whole of four days). I am diving into all this for myself. Go back a few blog posts and you may notice my sanity attempting to escape me. Yet, it hasn’t just begun to calm me, it’s helped me stop and smell the roses. Roses that, though not real physical red petals and thorny stems, are more present than I supposed. Roses like: I actually get more done when I am busy acting instead of busy reacting. Roses like: when I attempt to be as direct as I once was my husband attempts to woo me like he once did. This is nice. I’ll take that rose. Yet, I am not being direct so that he will woo me, I am being direct because I need to be, the wooing is just a happy accident. And, for once, wanting to be wooed doesn’t sound like an act of selfishness – it sounds like an act of being feminine. Yes, I’ll admit that typing those words were difficult, that in that admission I nearly panicked. I don’t have all the answers. In fact, I have pretty much no answers. The only answer that I do have is that I hope to be less self-destructive this year than last year. I hope to be more open, but less vulnerable. Be patient with me, God is not finished with me yet. And, I’m not done reading this book! When I worked in the bookstore full time, shelving, there was a brief few months that I ran the psychology section. I had become territorial over the fiction/literature section – my dream job if I’m to be honest with the world, despite the simplicity that infers – and this was an exercise my boss had to help me let go. To learn something out of my comfort zone. The psychology section was waaaaaaaay out of my comfort zone. Being raised a Christian, there were some very un-Christ-like biases and stigmas surrounding that section. These biases were mostly self-righteous scoffing. Especially towards titles exactly like Codependent No More. I remember thinking, people should just stop being selfish whores and everything would be fine in the world. Pretty sure, in hindsight, this was some very codependent thinking. Whether you are a traditional codependent tied to a substance abuser in some way, an author looking for some insight into people and character development, or simply a breathing human – this book should be read. It opens your eyes to problems you might not know you have. It opens your eyes to problems I’m sure someone you know has – even if that someone is a psycho you wrote off ages ago. Whatever your situation, whoever your person, this book is about peace. This book is about calming the anxiety and the panic and the anger issues. I wish I had read it much sooner rather than scoffing at it on the shelf. Back in college I read Happiness Is A Choice with a few girls I knew. We went to a Baptist school, but clearly weren’t behaving like the other little Christian girls we knew, so of course we devoured a book that seemingly addressed all that was wrong with us and how to fix it God’s way. Mostly, it just made us feel better. Naturally, I spotted this in a giant giveaway pile, knew it was by the same authors, and impulsively picked it up. Approximately 3 years later (now), I got around to reading it. At least not at first anyway. Reading Love Is A Choice from a parental perspective can be daunting and, to say the least, overwhelming. The first half of the book had me completely convinced that everyone on the planet has been abused in some form or another… active abuse, passive abuse, this abuse, that abuse. Unless you’re Jesus, NO ONE IS SAFE. I am not Jesus, so essentially, all I determined was that my kid was going to grow up to have issues. NO MATTER WHAT I DID. For that, I kind of hated it. However, because all these very human issues and mistakes run rampant in the world – because we are human – it ends up being a good read. Handy. Fair warning, so to speak. Be careful of this, be careful of that, be warned that these kinds of actions effect your children this way or that way into adulthood. And above all, put God first. 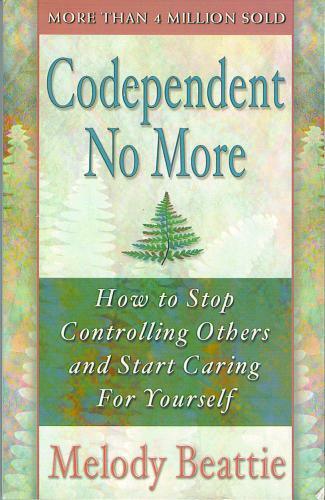 Just remember when looking at this cover and judging whether or not you think this applies to you, codependency probably doesn’t mean what you think it means. I know I was fooled. Essentially the core sort of means the same as what I thought, but all the nuances are different. If you’ve read my blog for long, you know I love a few good nuances! Anyway, it took up the better part of a week after my kiddo was asleep… when I wasn’t reading a Thomas Jefferson biography or going over homeschooling stuff… and I don’t feel like my time was wasted. Self-help isn’t typically a genre I care much about, so that means if I mostly like it then it’s probably pretty stellar. Check it out. 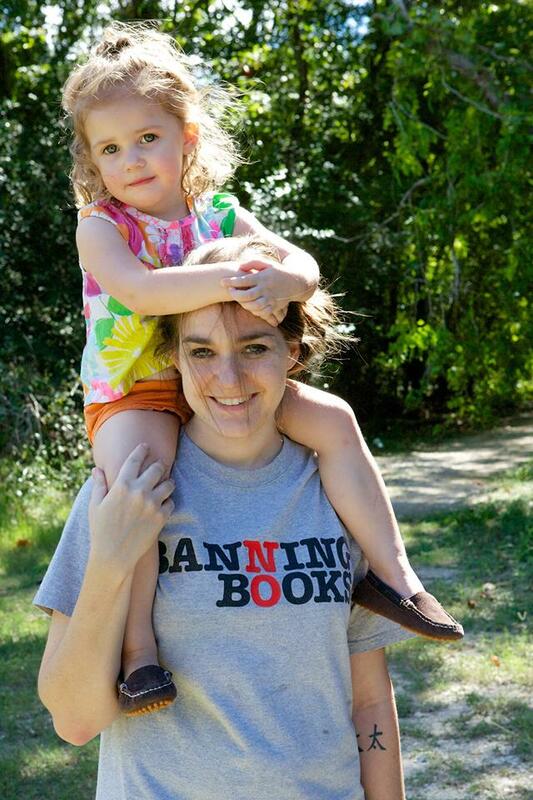 Below is a picture of me and my kid, who along with my husband, I choose to love every day – the best I can. P.S. The first week of October is Banned Books Awareness Week. BE AWARE! Read a ‘banned book.’ As far as I know, Love is a Choice isn’t banned anywhere and this statement has nothing to do with the review, just my t-shirt.